Chevy will offer the 2.8-liter Duramax diesel in mid- and upper-trim LT and Z71 crew cab models, in both two-wheel-drive and four-wheel-drive configurations. DETROIT -- The diesel-powered Chevrolet Colorado will be priced from about $31,700 to $38,700, including destination charge, when it debuts this fall. Chevy will offer the 2.8-liter Duramax diesel in mid- and upper-trim LT and Z71 crew cab models, in both two-wheel-drive and four-wheel-drive configurations, General Motors said today. The diesels will be offered at a $3,730 premium to those models equipped with a 3.6-liter V-6 engine. Chevy executives believe the diesel offering will give the Colorado an edge on the Toyota Tacoma, the top-selling midsize pickup, with 88,801 units sold in the first half of the year, more than double that of the Colorado (41,575). They also hope it’s an answer to the Ram 1500 Eco Diesel, the only fullsize pickup with an oil burner. Chevy engineers have said they expect the diesel Colorado’s fuel economy rating to surpass 30 mpg in highway driving, which would eclipse the diesel Ram's 29 mpg rating. 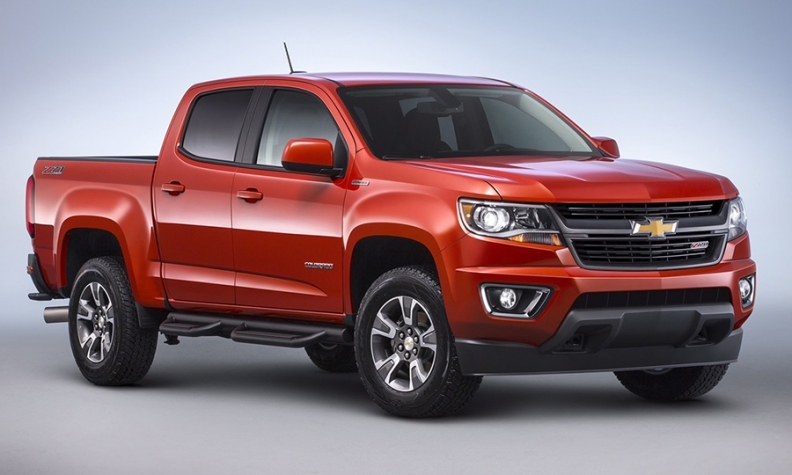 The Colorado's 2.8-liter diesel will generate 181 horsepower and 369 pounds-feet of torque. It will have a towing capacity of 7,700 pounds, up from 7,000 for the 3.6-liter V-6, GM said in a statement today. 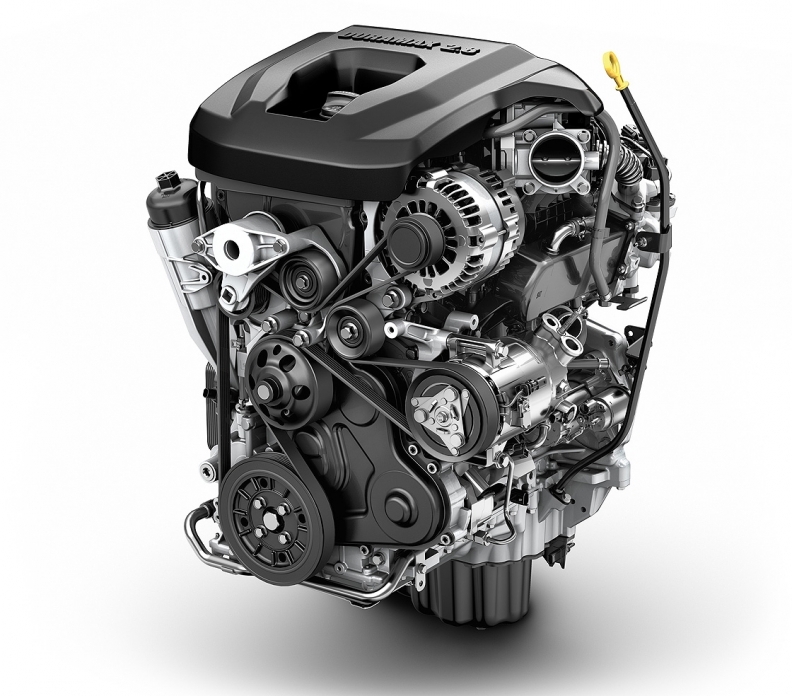 The GMC Canyon's 2.8-liter Duramax turbo-diesel engine for 2016. "Along with greater capability and efficiency, it expands the Colorado lineup to give customers more choices and the capability of exploring more possibilities on and off the road," Sandor Piszar, director of Chevrolet truck marketing, said in the statement. AutoPacific Inc. analyst Dave Sullivan said the diesel Colorado should offer truck buyers a good value by hitting two important numbers: A crew cab pickup that gets 30 mph highway or better for less than $40,000. By offering the diesel only on higher-contented crew cab models, Sullivan says GM is betting that there is pent-up demand for a midsize diesel truck. GM spokesman Otie McKinley said Chevy would consider offering the diesel engine on lower trim packages if consumer demand warrants it. The GMC Canyon will get the same engine. The price will range from about $33,200 on an SLE 4X2 crew cab with a 5-foot bed to about $41,900 for a top-trim SLT 4X4 with a 6-foot bed. The all-new 2.8-liter engine, which is made in Thailand, will be paired with a six-speed automatic transmission that features a vibration-absorbing system to dampen noise. The diesel Colorado will include an exhaust-braking system, which enhances control and prevents brake wear on steep downhill descents.